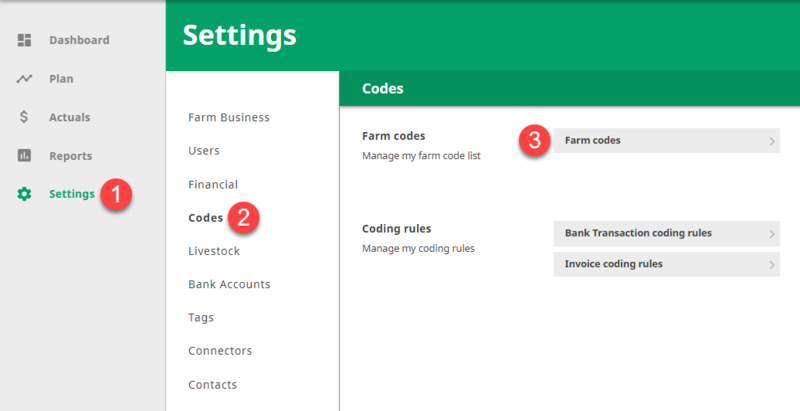 Each Cash Manager Focus farm business contains a default set of codes, that are relevant to the farming template you chose when you created your farm business. Your livestock extended codes contain default physical and financial settings. If the settings aren’t quite right for you, you can change them at any time. when recording actual and planned sales and purchases. The sale/purchase date is automatically calculated based on the payment date in a transaction. Firstly, select the farm business you want to customise. Select the livestock extended code you want to edit, for example 1yr bulls are selected below. Double left click your mouse to change it to edit mode. From here you can change any of the settings within the livestock code.